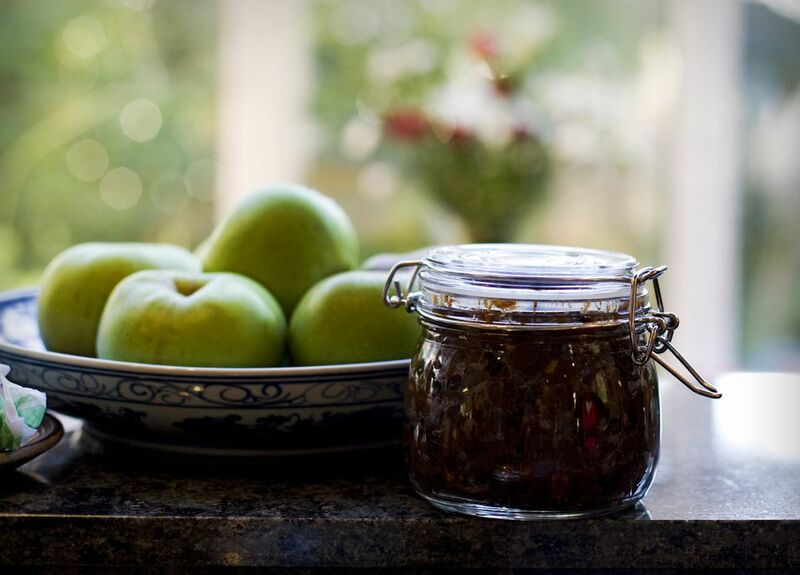 This old-fashioned green tomato mincemeat recipe combines the flavors of green tomatoes, spices, candied peels, raisins, apples, currants, and spices. It's perfect for canning and storing. Cook mixture slowly until it is tender and thick, about 1 hour or more. Stir frequently to prevent sticking. To can, pour boiling mixture into hot, sterile jars, leaving 1/2 inch headspace; seal promptly. Process in a boiling water bath for 20 minutes. Store in a cool dry place. Rich, Spreadable Homemade Apple Butter From Your Oven!